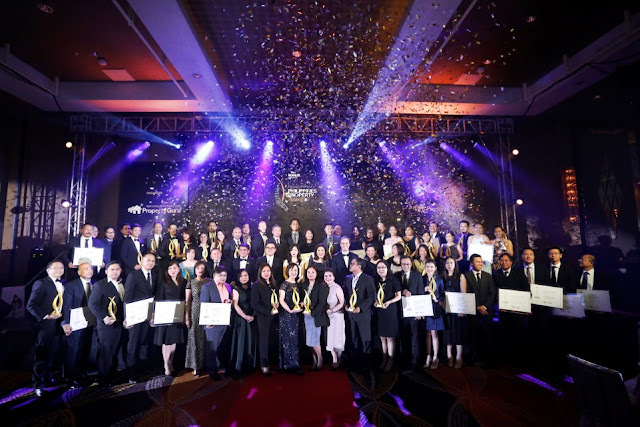 The archipelago’s most prestigious industry awards for real estate excellence has revealed this year’s winning and highly commended companies in the recently concluded PropertyGuru Philippines Property Awards 2017 held at Fairmont Makati last Thursday, May 4, 2017. It was indeed a memorable evening honouring the finest in Philippine real estate at the fifth annual PropertyGuru Philippines Property Awards 2017, presented by Kohler, held on Thursday (4 May) at the Fairmont Makati ballroom. Not much of surprise, as I was guessing who will be the best this year, I already have them in mind, Megaworld Corporation picked up its second consecutive Best Developer trophy, plus eight other gongs and special awards, and a mantle of 17 Highly Commended honours, out of 25 nominations – the most for any developer this year. 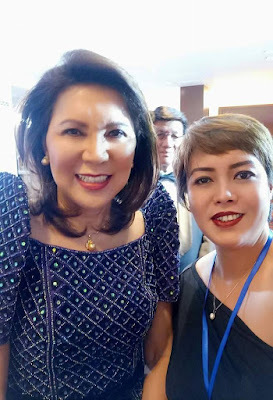 Megaworld’s senior vice president and commercial division head Kevin L. Tan (left) and its COO Lourdes Gutierrez-Alfonso (center) received the best developer award this year for Megaworld Corporation, presented by Department of Tourism Secretary Corazon T. Teo (right). “The blueprint for Megaworld’s success is not only apparent in its pioneering integrated urban township concept that’s been perfected for many years, but also in its dedication to nation building by introducing the world-class developments in provincial areas,” said the 10-member judging panel led by JLL Philippines chairman Lindsay J. Orr. One of the recognitions for the Dr Andrew L. Tan-led conglomerate is Best Universal Design Development, a new category this year that was awarded to its low-rise project St. Moritz Private Estates, which has been noted for promoting cosmopolitan features underlined by Filipino ethnic accents, as well as top-of-the-line amenities and recreational facilities that cater to all age groups and families. 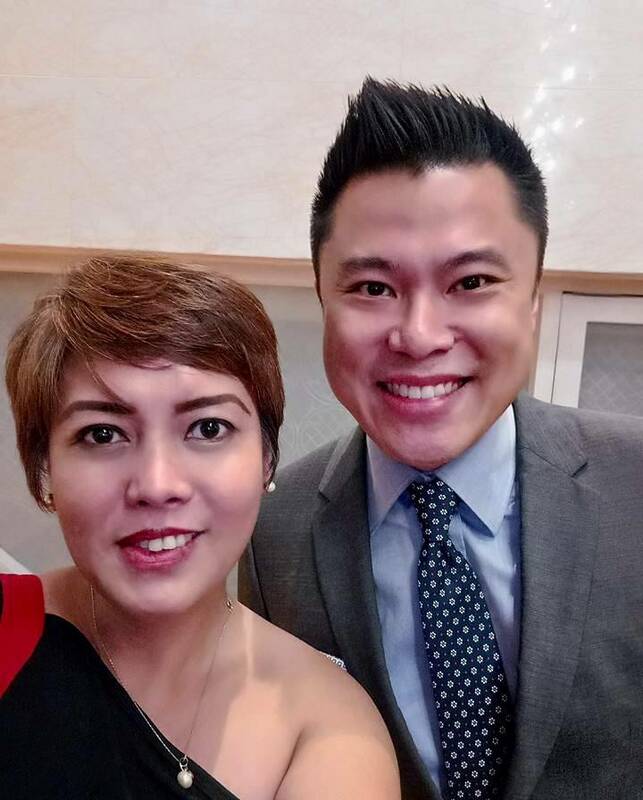 From Cebu, AppleOne Properties Inc collected the award for Best Condo Development (Cebu) for AppleOne Banawa Heights, which received a Highly Commended honour last year. Further development has allowed the project to compete again this year. According to the judges, the project also introduces many firsts for Cebu, including its nature-centric approach to development, 70 percent open space, keyless entry, and a total of five swimming pools and three gymnasiums at the development. Further down south, Damosa Land took home the gong for Best Residential Development (Davao) for the “functional and innovative” Damosa Fairlane, beating another Damosa project in the same category. Damosa Fairlane’s outstanding feature is the various “pocket parks” throughout the property and open, green spaces that evoke residential communities in the 1950s. 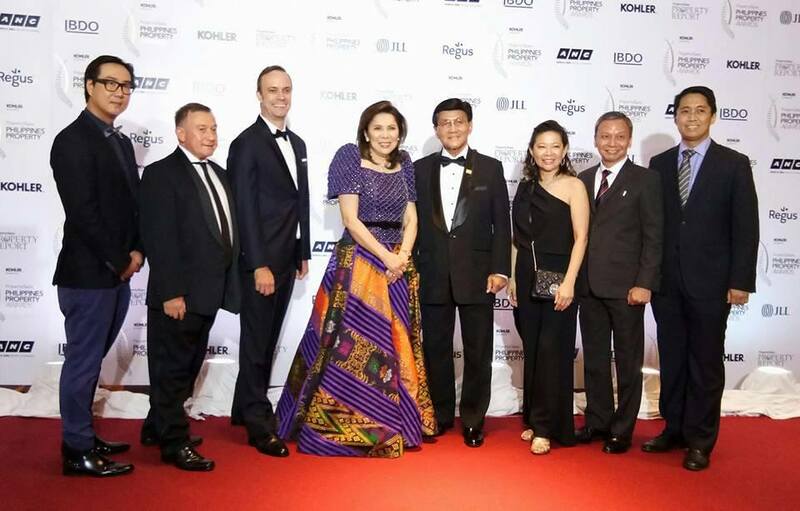 The 2017 PropertyGuru Philippines Property Awards panel of judges with Secretary Wanda Corazon T. Teo, Department of Tourism (4th left); (L-R) Lewis Ng, chief business officer, PropertyGuru Group; Lindsay J. Orr, chairman, JLL Philippines and chairman of the judges; Terry Blackburn, founder and managing director, PropertyGuru Asia Property Awards; Dr. Jaime V. Cura, PhD, vice-chairman, RGV Group of Companies; Cyndy Tan Jarabata, president, TAJARA Leisure & Hospitality Group Inc; Luis Enrique “Eric” T. Mangosing, CEO, Metro Development Managers Inc; and Aberlardo “Jojo” M. Tolentino, president and CEO, Aidea Philippines Inc.
“Although Manila remains the heart of the real estate industry, quality developments can now be found everywhere in the country,” said Terry Blackburn, founder and managing director of the PropertyGuru Asia Property Awards, in his opening remarks. 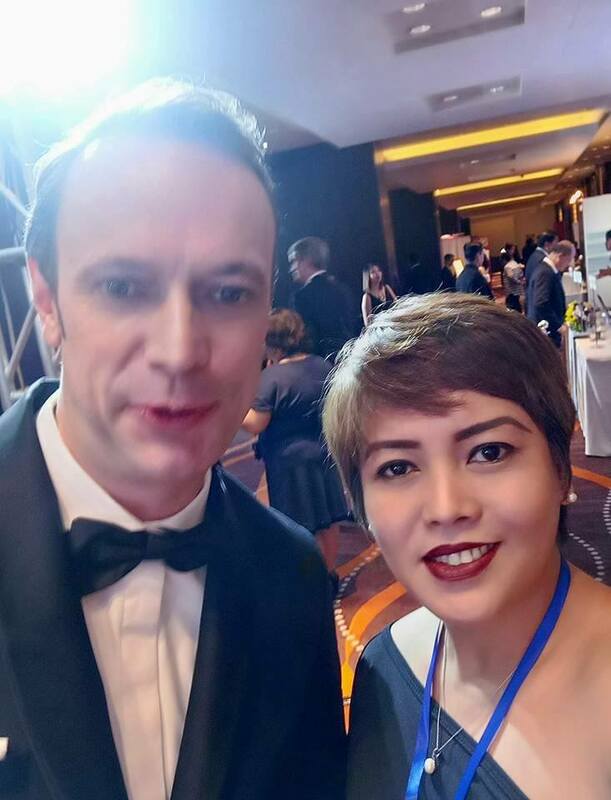 “As well as residential development giving more and more Filipinos the chance to own their own home for the first time, economic growth continues to be supported by world class retail and office developments,” he added. With an abundance of BPO office buildings in the country, Best BPO Office Development awardee Scape by Prince Allumer Development Corp stood out against the competition for incorporating many green elements and resource efficient amenities. Implementing a well-planned “garden mall” concept, Robinsons Galleria Cebu by Robinsons Land Corporation, winner in the Best Retail Development category, was rewarded for highlighting Cebu’s memorable sceneries through its glass façade and green spaces throughout the project. A total of 29 Winners and 35 Highly Commended recipients were announced during the exclusive black-tie ceremony that recognised established and up-and-coming developers from Luzon, Visayas and Mindanao that are increasingly paying more attention to green features and sustainability. 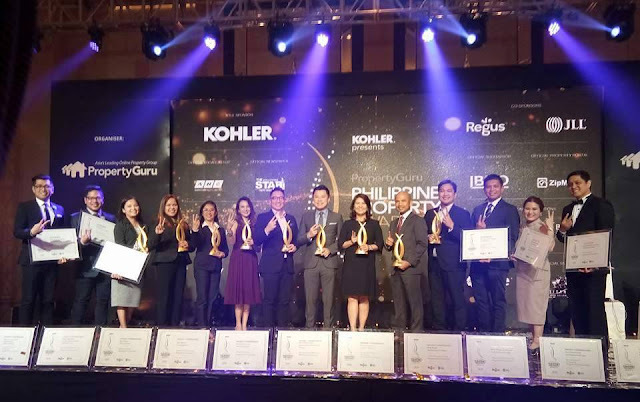 Hari V. Krishnan, CEO of PropertyGuru Group, commented: “I would like to congratulate the Winners and Highly Commended companies and projects at this year’s PropertyGuru Philippines Property Awards. Continued commitment to the property sector’s growth definitely fuels progress and the Philippine real estate market has shown a lot of promise on this front. Presented by title sponsor Kohler, PropertyGuru Philippines Property Awards 2017 gala dinner was attended by around 250 key industry figures and government VIPs, including Department of Tourism Secretary Wanda Corazon T. Teo, who acknowledged the contribution of the real estate sector to the growing tourism industry and importance of sustainable development in her keynote address. Other officials in attendance were Tourism Undersecretary Alma Jimenez, and Atty. Amado Valdez, chairman of the Philippine Social Security System. Television personality Issa Litton was the master of ceremonies. The event was supported by co-sponsors JLL Philippines and Regus Philippines, official broadcaster The ABS-CBN News Channel (ANC), official newspaper The Philippine STAR, official property portal Zipmatch.com, official charity CARE Philippines, official supplier Titania Wine Cellar Inc, media partners Inquirer.net, Oxford Business Group, HGTV Asia and PropertyGuru Property Report magazine, supporting associations British Chamber of Commerce Philippines and European Chamber of Commerce of the Philippines, and official judging supervisor BDO, the world’s fifth largest auditing and accountancy firm led by co-managing partner Paul Ashburn. WINNER: Urban Deca Tower Edsa by 8990 Holdings, Inc. WINNER: Scape by Prince Allumer Development Corp. HIGHLY COMMENDED: Base Line Center by Cebu Landmasters, Inc. HIGHLY COMMENDED: Grand Tower Cebu by Grand Land Inc. HIGHLY COMMENDED: Scape by Prince Allumer Development Corp. 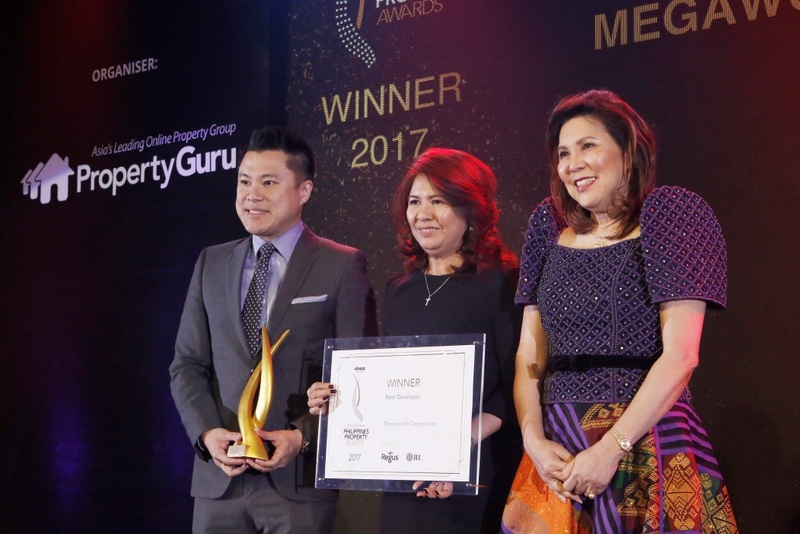 Returning for a landmark fifth year on 4 May 2017 at the Fairmont Makati, the PropertyGuru Philippines Property Awards is part of the regional Asia Property Awards programme established in 2005. With a professionally run awards system supervised by BDO, the world’s fifth largest auditing and accountancy firm, the Philippines Property Awards is the biggest and most credible industry awards in the archipelago, with the top and emerging names in real estate celebrating the best developers, projects and design in Mega Manila, Cebu, Davao and emerging resort destinations. The PropertyGuru Asia Property Awards are the largest real estate events in Asia, playing host to annual gala dinners for up to 600 C-level executives and leading industry figures from Singapore, Thailand, the Philippines, Malaysia, China, Hong Kong, Macau, Vietnam, Myanmar, Indonesia and Cambodia. The Awards programme has an unparalleled reputation for being credible, fair and transparent, with an independent panel of judges and trusted awards supervisor. Originally launched in Thailand in 2005 at the height of Asia’s property boom, the Asia Property Awards in 2016 became part of PropertyGuru, Asia’s leading online property group. In 2017, the awards scheme was expanded to include categories for Mongolia, Laos, Sri Lanka, India and the Maldives. PropertyGuru Group is Asia’s foremost online property company. Voted by consumers in 2016 as ‘Asia’s Most Influential Brand for Online Property Search’, PropertyGuru helps over 16 million people find their dream home – every month. Headquartered in Singapore, PropertyGuru.com.sg was launched in 2007 by two entrepreneurs. They had a vision to simplify the property search process and help renters, buyers, sellers and investors make confident property decisions – faster. Today, it has grown from being a media company to a high-growth technology company. Beyond operating a suite of No.1 property portals and award-winning mobile apps, the Group also manages a host of industry-leading property offerings such as publications, events, awards and a project marketing technology platform – across eight countries in Asia. Congratulations again to all the winners of the 5th PropertyGuru Philippines Awards!